This may possibly may be my first real "figurative" watercolor painting. I don't know if I count the first time I tried to paint a portrait in watercolor- that was scary. yikes! 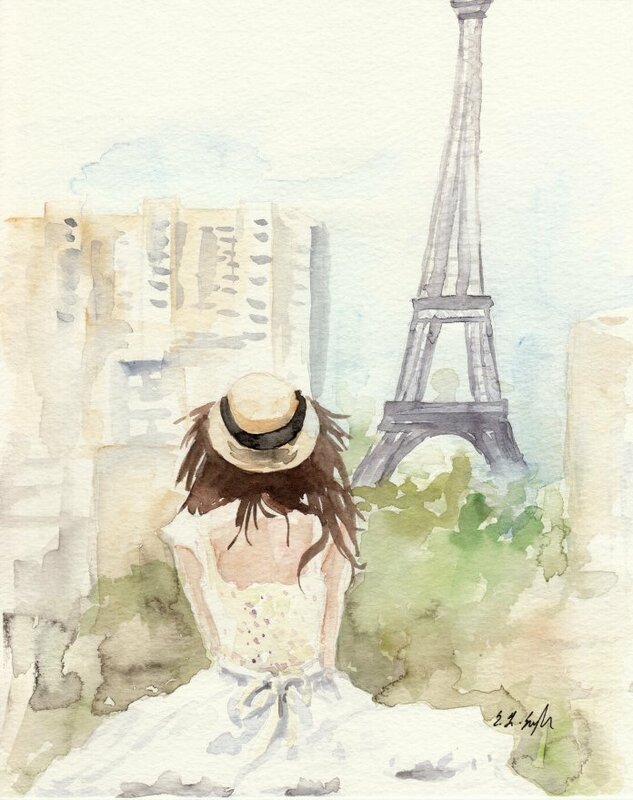 I've always dreamed of going to Paris, so I can insert myself into this painting easily. 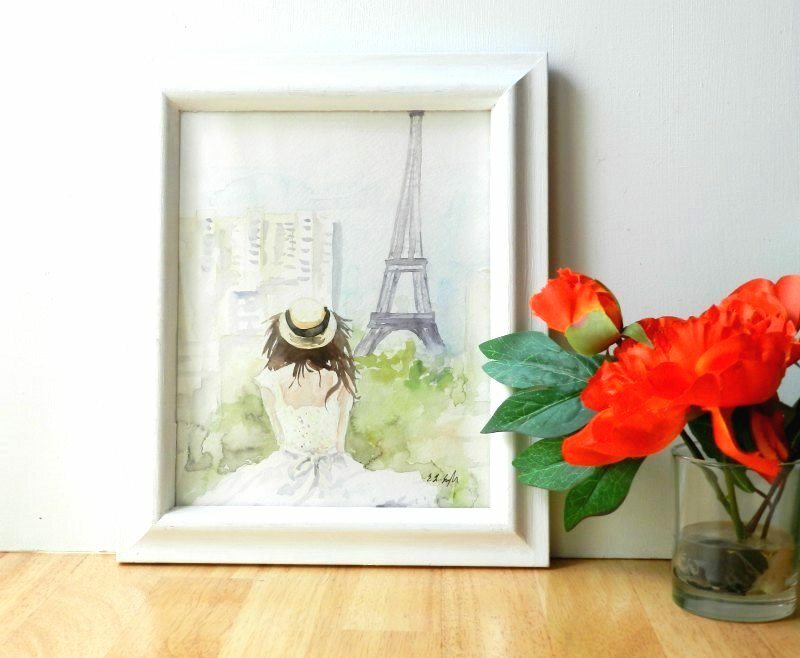 When I look at this painting I feel like I'm really there, sitting in the sun, admiring the Eiffel Tower. I love it!! How pretty! Have a great weekend Elise! Yes! I recognise this as well! Beautifully portrayed. Pretty! I hope you really get to go someday. Thanks Jackie! That's an awesome idea!